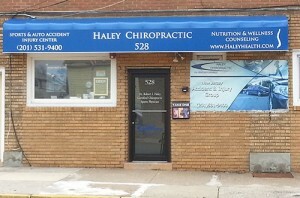 In 1994, Dr. Robert Haley opened Haley Chiropractic in Lyndhurst, eager to contribute natural healing to this vibrant and active community. Now, over two decades later, his passion is still to help enhance the health of the community so that everyone can achieve and maintain a healthy lifestyle. Since beginning practice, Dr. Haley has enjoyed helping a variety of patients. Starting with those who need relief care to those looking to enhance the health they already have. As a sports enthusiast, Dr. Haley has been supporting local athletic groups in a variety of ways. He has been the attending physician for the Lyndhurst High School Golden Bear athletic team since 1999. He’s also treated many other athletes from around the area, including sponsoring his recreational basketball and soccer teams. Also, Dr. Haley participates in health fairs, wellness talks and posture screenings for sports teams, groups and corporations in the community. We welcome those that want to be more active and more involved in their health. Call our team today and let’s talk about how we can help!